The Sequani pathology department provides a complete support service for all its toxicology and carcinogenicity studies. Its activities cover necropsy, histopathological processing, microscopic evaluation and pathology interpretation. We employ four toxicological pathologists with combined experience amounting to over 80 years. The qualifications of our pathologists are detailed below. We also offer a comprehensive contract service to many international pharmaceutical and chemical companies operating their own animal testing but relying on external professional support to maximise efficiency or to meet scheduling demands. All work is continually delivered to the highest quality standards, which we achieve through our rigorous in-house quality control programs and highly skilled, experienced technicians and pathologists. We believe in partnerships with our customers, both internally and externally, which results in a personal, professional service from a team who understand the business and the science. Sequani employs four toxicological pathologists with combined experience amounting to over 80 years. The qualifications of our pathologists are detailed below. Statistical analysis is overseen by one of the leading UK experts in this field. 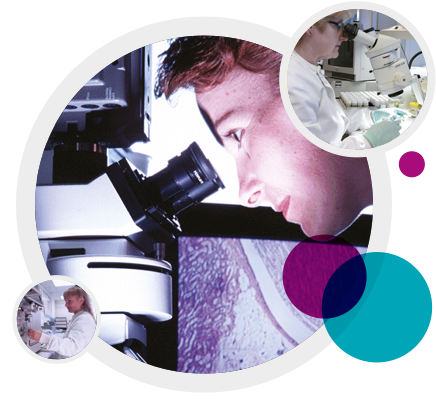 Sequani pathologists have special expertise in respiratory, endocrine, cardiovascular, ocular and dermal pathology, carcinogenicity studies, transgenic mice, juvenile organ development and toxicity in the juvenile brain. A dedicated team of foetal morphologists, with vast experience in all aspects of foetal evaluation, undertakes all of the skeletal, and Bouins examination from studies undertaken at our facility which ensures that we have consistency in reporting levels. Single and double skeletal staining techniques are fully validated and routinely performed using our suite of Shandon Pathcentre Teratology Processors. We have the expertise and equipment to provide extensive analysis of sperm morphology, motility and concentration in rats. We use the Hamilton Thorne TOX IVOS software to produce reports detailing percentage motility and a range of velocity parameters from live epididymal samples as well as concentration data from both epididymal samples and homogenisation resistant spermatids from the testis. In addition we perform a differential morphological analysis detailing any gross abnormalities. We can perform counts for naked oocytes and small and medium follicles in serial ovarian sections taken from the rat. This can be achieved using standard Haematoxylin and Eosin staining or using immunohistochemical staining for PCNA.